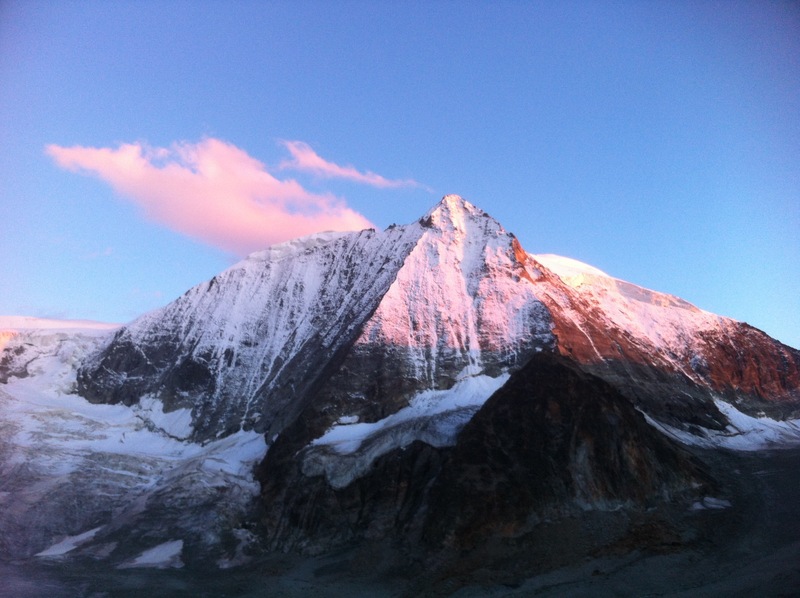 It’s been more than a month since a Japanese friend and I came back from our 2-week long “Haute Route”. This long distance walk from Chamonix/France to Zermatt/Switzerland was quite an experience and the images of the scenery still linger in my head. This hike was on my bucket list for quite some time. I was not sure if I was physically capable of doing such a long distance hike. The mountains are my passion, but I am more of a day hiker with the overnight hikes being an exception. I have never hiked two weeks, especially not 180 km consecutively! I was willing to go on my own, but luckily my mountain buddy Sano from Japan decided to join me last minute and we decided to give this adventure a go. 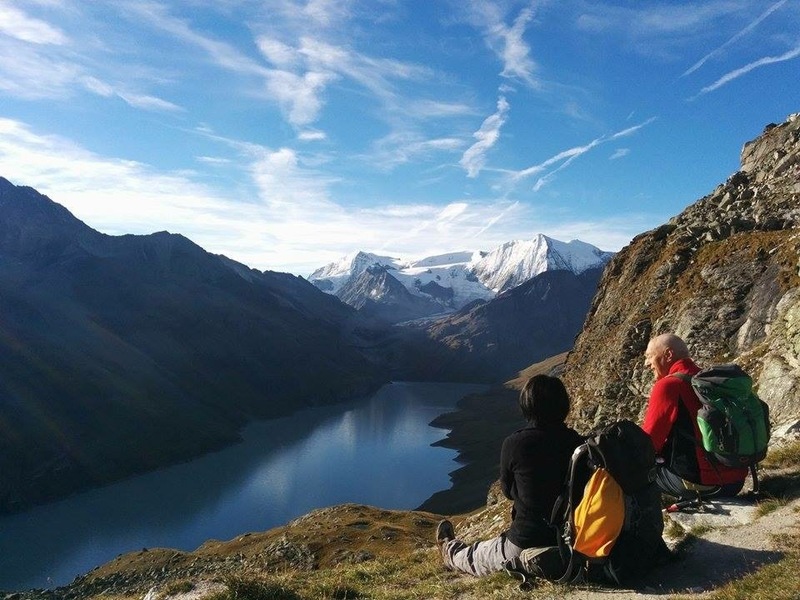 The greatest thing about the Haute Route are the spectacular scenery of the Swiss Alps with many 4000+m mountains such as the Mont Blanc, the Grand Combin, the Weisshorn and the famous Matterhorn… truly majestic! Everytime we passed a col (or pass), another valley, another amazing scenery or a magnificent mountain appeared. My favourite part of the route was the 3-day hike from Cabane Mont Fort to Cabane de Prafleuri to Cabane des Dix (Days 5-7). The scenery from Cabane Mont Fort was magnificent, looking at the shining snow-covered Grand Combin. Especially staying at the high altitude mountain huts gave us the impression to be in deep wilderness. The most magical moment was the night at Cabane des Dix. The almost-full moon was appearing above the Mont Blanc de Cheilon and reflecting on the snow. I sat there with a Swiss couple gazing at this majestic spectacle in awe. We talked softly about the wonders of nature and how great it was to witness such a scene. Leaving nationalities, age and background behind, I felt we were united through love and respect for nature. It was a truly magnificent moment. 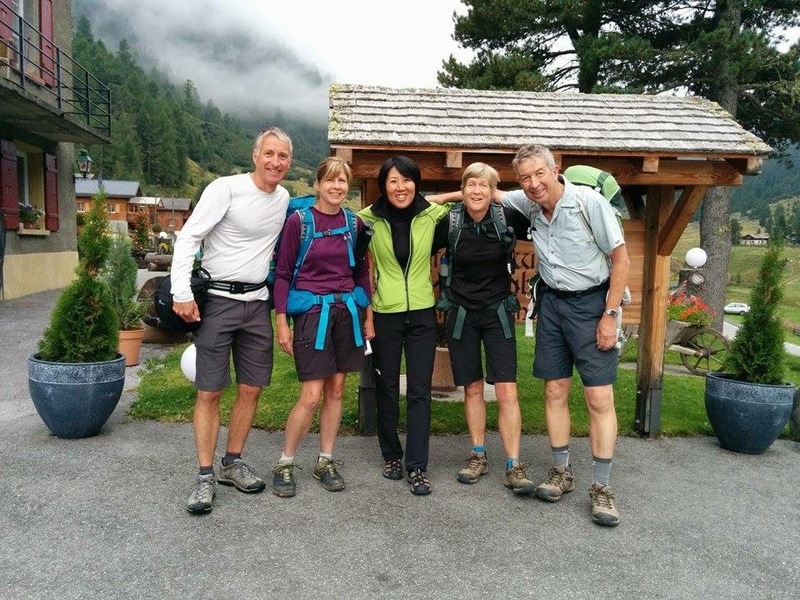 I did not imagine what an important role the people you meet on the Haute Route would play. Wonderful people from all over the world. To my surprise, the majority were Anglophones; Americans (five of them who belong to a hiking club, some couples and a solo hiker) and English couples from London, a Scottish couple from Glasgow. Also, Australians from the same “bush walking” club, an Israeli father with two adult sons and an Eastern European couple from London. As most of people do the “Haute Route” as well and there are few alternative routes, we inevitably met again and again on the trail or shared dinner tables at the huts. So we got to know each other. We were spontaneously connected through love for nature. The age of all the hikers varied greatly; the oldest person we met was a rather fit 78-year old Australian from Sydney! But it was hard! And if I say hard, I mean sometimes-I-wanted-to-just-drop-out kind of hard. In average we walked a 1000 altitude meters up and down, every day. No mercy. We left behind us around 10 cols/passes during the 14-day hike. 7 hour on the trail was just a normal day. Sometimes I was so tired that I did not want to leave my bed in the morning…. Some of our co-hikers were in awesome shapes! We thought we were fit, but we were surprised when our co-hikers (most of them definitely older!) passed us all the time! A couple from Scotland told us that back home, they walk 2 hours every day. That may be the reason the did not seem to be tired at all. 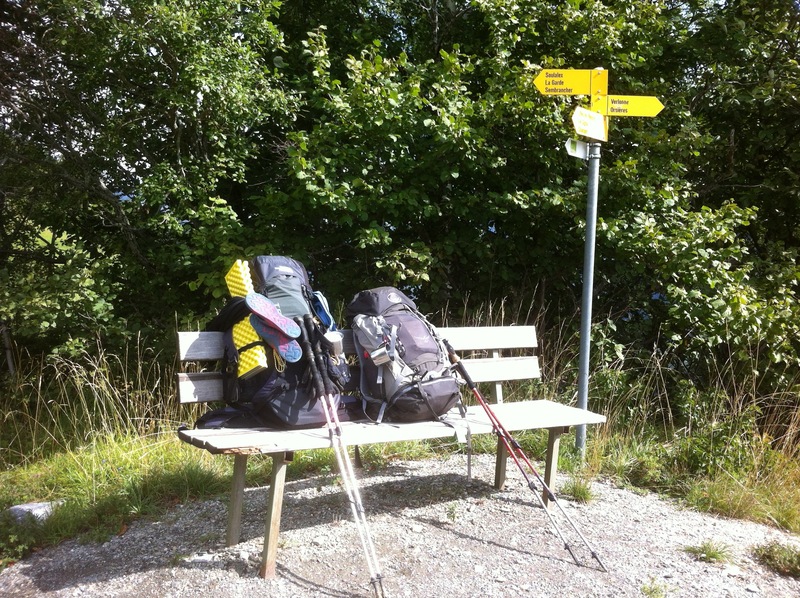 If there is one major takeaway or a key to enjoyable hiking, it’s a light backpack containing the strict minimum. For the first three days my friend and I carried too much food, too many clothes and too much mountain gear. On day 3 we were so fed up with our heavy backpack that we decided to make a severe inventory review. We brought our clothes and personal items down to what we really needed and sent the rest on a comfortable trip home with the Swiss Post. We also decided to carry less food (only snacks) and eat “big” meals at the huts or hotels. Great decision. Traveling light.